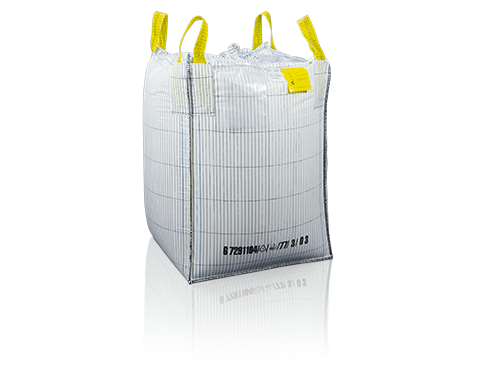 The flexible Pactainer ED® bulk material containers offer secure protection from electrostatic ignition hazards. They can be used for bulk materials with low minimum ignition energy, bulk materials at high risk of explosion and in areas at risk of explosion, such as in the chemical industry. In conjunction with the earthed carrying loops, the conductive fabric diverts the electrostatic charge from the bulk material to the lifting gear and reliably prevents any form of flammable discharge. Chemicals and pharmaceuticals, wood and plastic products, food products, miscellaneous industries, washing and cleaning products.